"holds 28 patents, has published over 300 per-reviewed papers and given over 380 talks in 38 countries. In 2001-2002, he was appointed Chair of United Nations - World Health Organization Expert Panel and Working Group on Probiotics. In 2006, he was appointed President of the International Scientific Association for Probiotics and Prebiotics"
Professor Reid is both a strong proponent of probiotics and of ensuring claims made by probiotic food manufacturers are in fact evidence based. "serve as a guide to industry for the preparation of Product Licence Applications (PLAs) for natural health product (NHP) market authorization of probiotics". "Health Canada has no expertise on its Expert Advisory Committee to assist with preparation of this Monograph, and I assume no consultation was made with anyone who actually knows anything about probiotics." 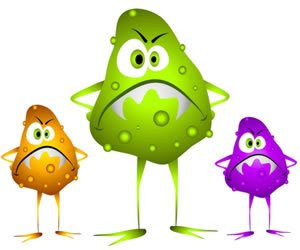 "They don't understand that unless you show that a product confers a health benefit on the host (which by itself requires a properly designed human study) then it should not be called probiotic. NHPD need only ask companies to show such documentation, refer to the FAO/WHO document and if they can't satisfy this, then they need to call their product something else,"
"Sadly, we have probiotic chocolate, bread, orange juice, certain dairy products and even an ice cream that has a flyer which mentions probiotics can prevent colon cancer (how much ice cream should I take every day to do this?). I am not questioning the quality of these products or that they might be beneficial, I just want to see some data on what they have been shown to do. Otherwise, we are fooling the consumer and/or not giving them sufficient information." I guess here we have yet another example of why I call Health Canada, Happy Corporations.